Team Losi has taken the most desired elements of the everyday monster truck enthusiast and put together the biggest, baddest, most powerful entrance level monster truck ever offeredâ€¦. The Aftershock. 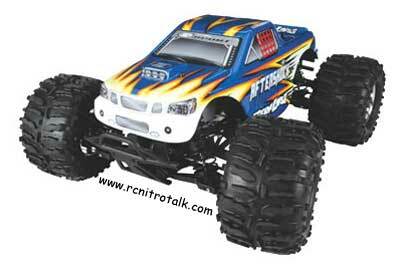 Bigger is better and the Team Losi Aftershock is the biggest out there dwarfing all comers. Big power comes from a big block M26SS engine through a shift on the fly 2- speed transmission for the best combination of acceleration and top speed. And the transmission is filled with big steel gears instead of wimpy plastic pieces doomed to fail. The power is transmitted through heat-treated steel CV style driveshafts and aluminum cased steel geared differentials to the giant chrome wheels and huge rubber tires. 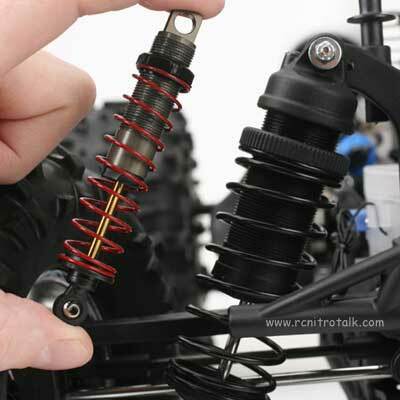 The Losi Aftershock is equipped with big rugged suspension arms that are controlled by the biggest shocks in the business â€“ over 3 times larger than those found on other models. Genuine rubber sealed ball bearings keep everything rolling freely while keeping dirt and debris out. Big power and big performance needs big control and the Aftershockâ€™s sensational package is completed with another Team Losi exclusive, the premium JR XR2i computer based radio system. 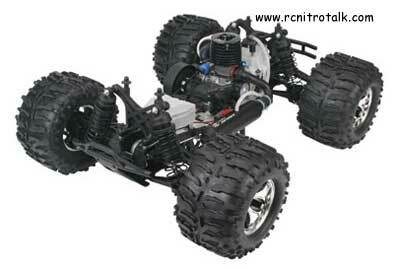 There is not one but two metal geared steering servos that allow you to keep control of this monster. The other remarkable features include multiple model memory, servo adjustments, and easy to read LCD screen. Best of all you can customize or personalize your truck with the wide assortment of genuine Team Losi performance and appearance parts currently available. 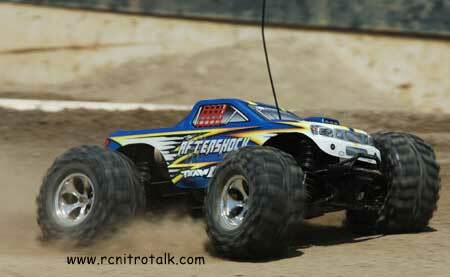 Come join the discussion about the new Team Losi Aftershock monster truck in our Other Monster Trucks Talk forum!